Each year, the California Secretary of State publishes a list of notaries public who hold active notary public commissions. These can be downloaded as a .zip file and opened in a text editor. Save it to your computer drive and you’ll have a searchable document of the notary names, home or work address (and employer name), commission number, county where the oath of office and bond are filed, and expiration date. You’ll have to download this each year, since the past year’s records are not posted on the website. 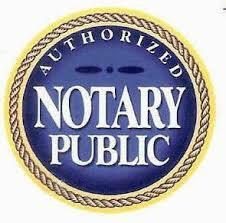 I found that historical records, whether the notary has an active commission or it has expired, helpful in locating the person’s place of employment and employment history. I recently discovered another value in retaining the dated lists. I had the name of a notary and her commission number from an older document and I needed to identify her current employer. Neither her name or commission number appeared in the current database. In searching those in the prior years commissions lists I discovered a new commission number, and as I searched that number in another year I found that she had changed her name. So, she had an active commission but both her name and commission number had changed. And, of course, so had her employer.